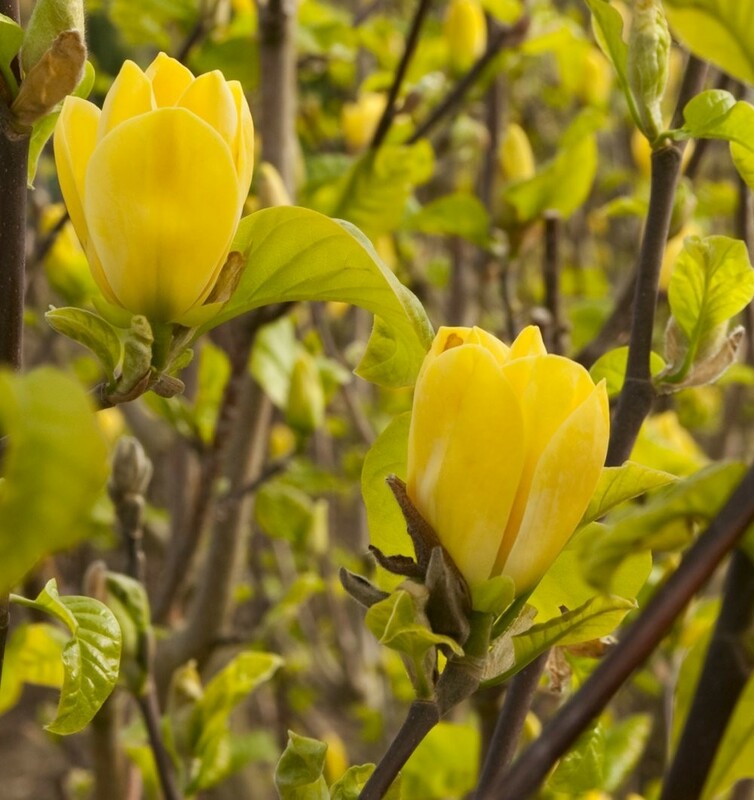 Magnolia Yellow Bird is a very special hard to come by variety with bright yellow-cream flowers that appear from huge goblet shaped flower buds throughout Spring - a signal that warmer weather has finally arrived after a chilly winter. The glorious flowers, large in size - 6-7inches, are carried on robust compact growing small trees, generally reaching 2-3 metres tall over time. Very unusual, Yellow Birds flowers appear as bright golden goblets that will fade to cream as they age, providing a bright and unusual appearance. These star over the plants for several weeks before making way for the foliage. A truly magnificent variety for it's abundance of flowering combined with the bright warm colouration. Supplied in approx. 5 litre containers at around a metre tall, these are fantastic quality strong specimens.